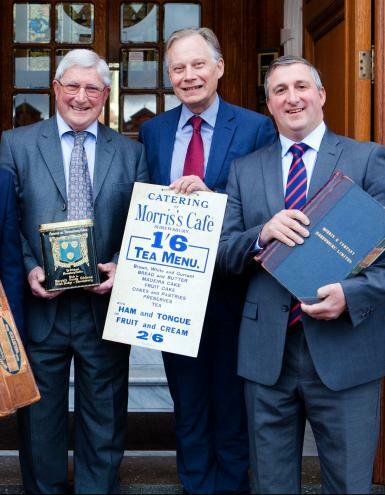 The three ornate doors were purchased in Birkenhead by James Kent Morris the second son of the founding family member, who set up Morris’s in 1869. 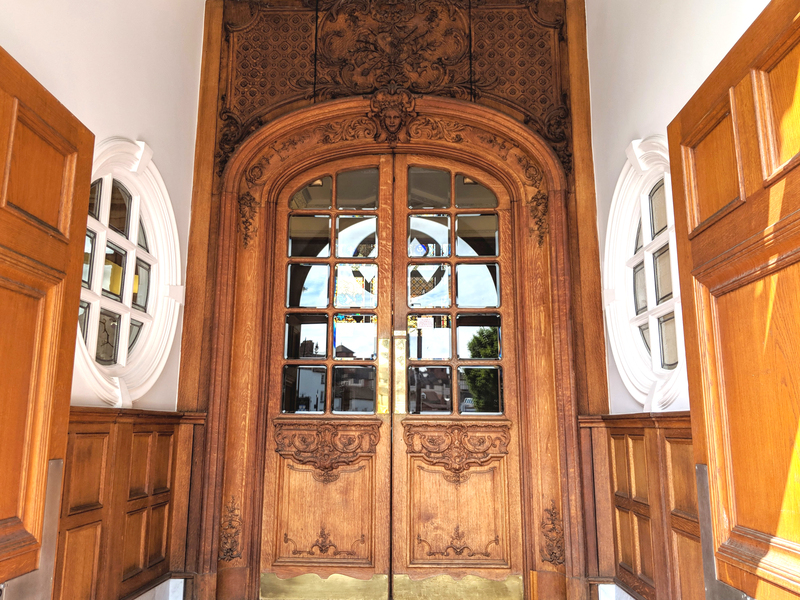 James was travelling up to Liverpool to sell his Golden Film Oil, when he purchased the beautifully carved matching saloon doors which had been originally destined for the Titanic’s sister ship, the Britannic. Following the keen interest in our distinguished doors, we are proud that they have become a unique landmark in Shrewsbury having been part of the Morris family for so long.